But Brendan Rodgers reckons the price on the West Brom loan-star’s head means his dream of a permanent Parkhead stay is unlikely to come true. 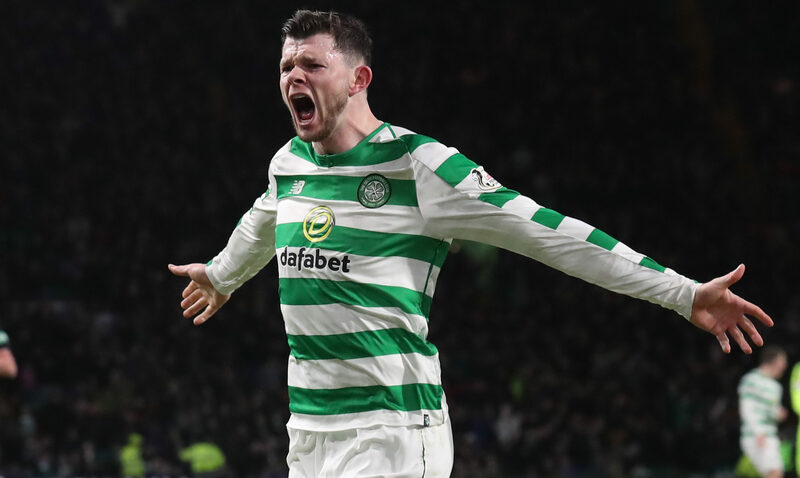 Burke has shone for the Hoops since his January switch – and has revealed his desire to remain in the East End of Glasgow. But with almost £30 million worth of transfer fees already amassed in his name – £15 million of which were dropped by parent club West Brom two summers ago – his Bhoys boss can’t see an easy deal being done. “I think so,” Rodgers said, when asked if Burke’s stay becoming a permanent one could be classed as a “pie in the sky” prospect. “It would be great for Celtic, but the reality is that the improvements he will make here over the course of the next six months will probably excite West Brom. “They help us for now, and we help them. “You are getting in a big talent, but the likelihood is, that type of player fits around the core of the boys that are here. Burke’s rapid improvement since arriving at Celtic has been impressive. The 21-year-old has already started as many games for the Hoops in three weeks as he did at West Brom in a season-and-a-half. But for Rodgers, it is the Scotland internationalist’s capacity for further improvement that has impressed most. “I spoke to Malky Mackay about him,” revealed Rodgers. “There’s no doubt that in there is an absolutely brilliant player. “We all know he can run like the wind, he’s super powerful, he’s got the physique. “He’s definitely one that, when I saw him, he ran too much to the corner flags. Because he can run, he runs. “But the goal is not out there. The goal is in the middle. “If you ask players like that why they are running there, they might not know. “If you look at his movements now, they are inward, running into goal. Burke’s price tag may prove a bridge too far in terms of securing a permanent deal. But another shining loan star – Timo Weah – could, depending on circumstances at Paris Saint-Germain, be a more realistic prospect. “He’s 18, so depending on how that goes, there’s maybe a possibility of extending that,” said his manager. “The relationship is good with PSG through Odsonne Edouard and some of the other players that we have spoken about to them. “So there’s nothing at the end of it. “Let’s see how it goes and then we’ll review it with the club and him and his family. More immediately, Rodgers has Thursday night’s Europa League tie with Valencia to consider. The Spaniards were lying eighth in La Liga before this weekend’s round of fixtures, but Rodgers believes his side have a tough task ahead of them. “We expect to compete,” he said. “They are a great club with a great history, but that doesn’t give them 12 men.